"Disclaimer: I received iKOR Hemp Extract to review as part of being a BibRave Pro. Learn more about becoming a BibRave Pro (ambassador), and check out BibRave.com to review find and write race reviews!" Having some down time these past couple weeks has been quite nice. I've been resting up, did the Turkey Trot 5k, am partaking in a 41 day run streak challenge with a local running group and am looking forward to the All State Hot Chocolate 15k here in December! 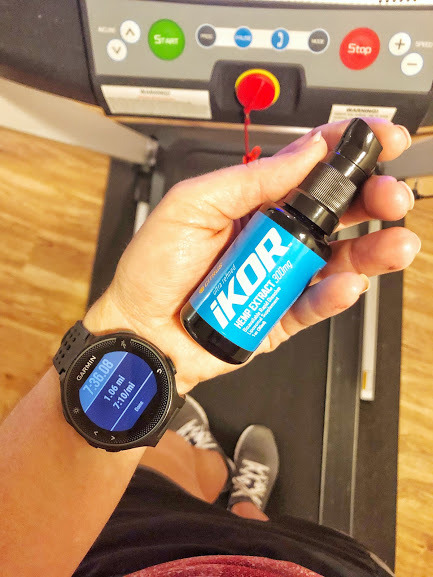 With all of that coming up I'm so glad I was able to test out iKOR's CBD Hemp Extract. Actually I'm super glad I was able to try it out while I was training for Tunnel Hill!! I was on edge a lot at the beginning of the training and constantly thought, "How am I supposed to do this?" Allowing myself to fall into a vortex of self doubt. So before we get to my results, why I love this product and why I would recommend it to you, let's chat a bit more ABOUT the product and what it's supposed to do. CBD is short for cannabidiol, a naturally occurring compound found in the Cannabis sativa L plant. CBD is commonly extracted from industrial hemp plants. And NO, hemp and marijuana are NOT the same thing. They are essentially different cultivars of the same plant. Hemp is from the Cannabis Sativa L while marijuana is a form of cannabis that has been bred to concentrate high levels of the psychoactive compound, THC. So no, CBD will not have any psychoactive effect on humans This CBD WILL help aid anti-inflammatory, anti-oxidant, anti-anxiety and improved sleep quality! As recommended I took 5 pumps of the extract in the morning and 5 more in the evening. I did this for 10 days, stopped for 3 and then picked it back up. This was the best way for me to see exactly what results were happening. I personally don't have much trouble sleeping and sleeping well. I do however have a tendency to have an issue with stress and anxiety. I was also in the heart of my training for Tunnel Hill 50 Miler. I'm a nervous racer. I always get super jittery, nervous and everything under the sun before a race. Earlier this year I had a panic attack the night before a 5k I was racing because I couldn't fall asleep, I even ended up getting sick due to the amount of anxiety I was feeling. Anyway, it's not always THAT bad but you get the picture. 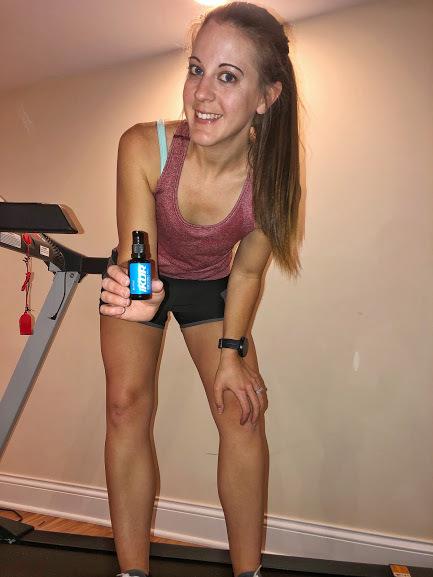 During the heart of Tunnel Hill training and even up until race day I didn't have THOSE jitters, I was anxious just to get it started, I was just wanting to get out there but I wasn't jittery, unable to sleep or dealing with stress or panic attacks in that way. Even race morning went smoothly and I was able to relax a bit more than I had even thought I would be able to. I had stopped taking the Hemp Extract as directed during the week before Tunnel Hill (I planned it out so that I would be taking the CBD a few days prior to the race and through the whole race day). The difference was there, I could see myself getting more jitters but I was able to get them under control once I started taking the CBD again! Now I'm not sitting here telling you this is going to be a cure all. It's not. Nothing is. But I can 100% say that I feel a difference when I'm using iKOR's CBD Hemp Extract. Real life is still there, I still have to deal with what's going on around me and it doesn't mean I don't stress out still, but what I have found is that I'm much more calm and can bounce back a lot easier and in turn I can figure out my problems faster and more efficiently. If you're like me and want to try out this product you can use code BibRave20 for 20% off at checkout HERE and let me know what you think, I'd love to hear your experience!